Mussoorie (Hindi: मसूरी Masūrī) is a city, about 34 km from Dehradun and in Dehradun district in the state of Uttarakhand. 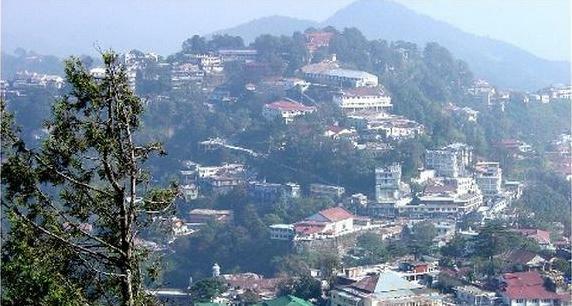 This hill station, situated in the foothills of the Himalaya ranges, is also known as the Queen of the Hills. 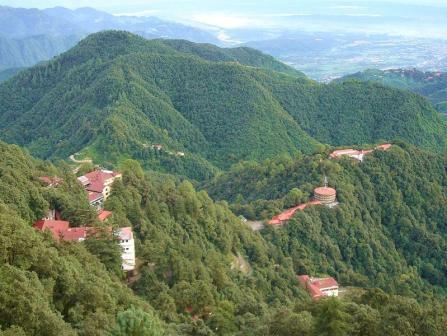 Being at an average altitude of 2,000 metres (6,600 ft), Mussoorie, with its green hills and varied flora and fauna, is a fascinating hill resort. Commanding snow ranges to the north-east, and glittering views of the Doon Valley and Shiwalik ranges in the south, the town was once said to present a 'fairyland' atmosphere to tourists. Mussoorie is also famous for its educational institutes and boarding schools. It is picnic spot having a beautiful garden and an artificial mini lake with paddled boating facility. It is located at a distance of 4 km by rickshaw cycles, pony or by a car and 2 km via Waverly Convent School road on foot. 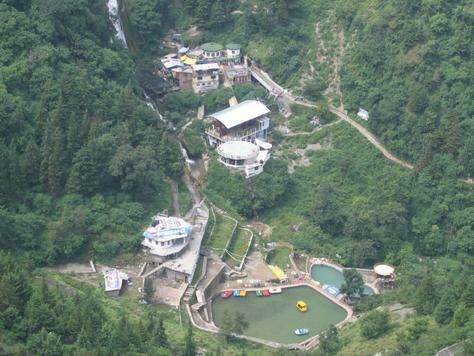 A newly developed picnic spot build by City Board & Mussoorie Dehradun Development Authority, is situated at 6 km on Mussoorie-Dehradun road having a facility of pedaled boats. 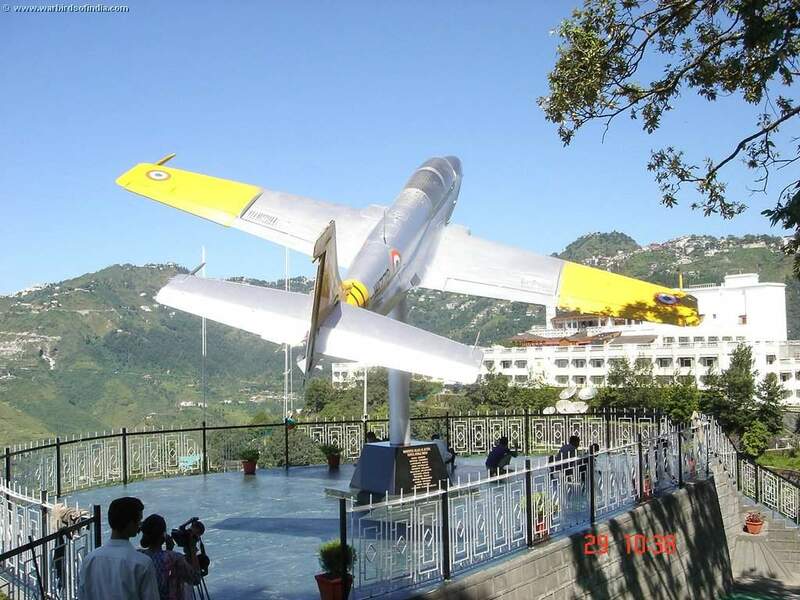 It offers an enchanting view of Doon Valley and nearby villages. View during Night is marvelous. 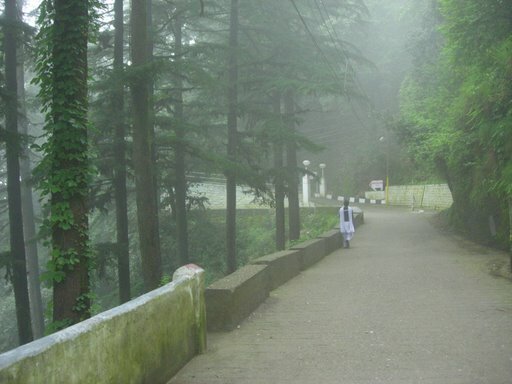 Also known as "Nahata Estate" is a huge property of more than 300 acres, owned by the Harakh Chand Nahata family, is also the highest peak of Mussoorie near Lal Tibba, it is situated at 5 km from the Tourist Office and one can go on horse back or on foot. The view of snow-clad mountains is exhilarating. 7 km from Mussoorie on Mussoorie-Dehradun Road near Bhatta Village. Accessible by car or bus up to Bhatta from where the fall is 3 km by foot. 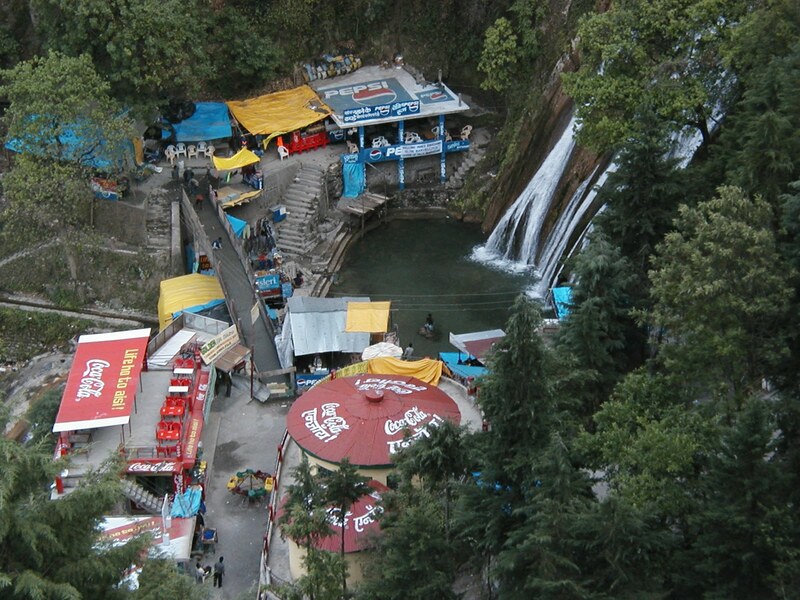 A fall with different ponds for bathing and water amusements, ideal place for picnic. Park Estate is where one can find the remains of the building and laboratory of Sir George Everest,the Surveyor-General of India from 1830 to 1843. It is after George Everest that the world's highest peak Mt. Everest is named. It is 6 km from Gandhi Chowk / Library Bazaar and is accessible by vehicle, although the road is very rough beyond Haathi Paon. The place provides an enchanting view of Doon Valley on one side and a panoramic view of the Aglar River valley and the snow peaks of the Himalayan ranges on the other. It is a wonderful walk from Library Bazaar and a beautiful spot for a picnic. 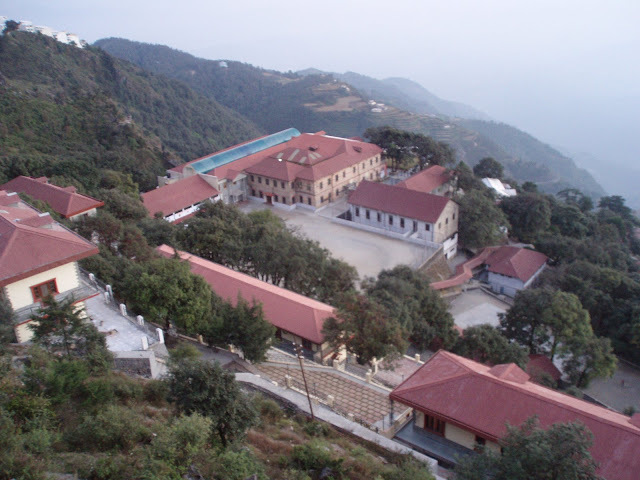 Situated at an altitude of 2240 m, this temple is 9 km west of Mussoorie. 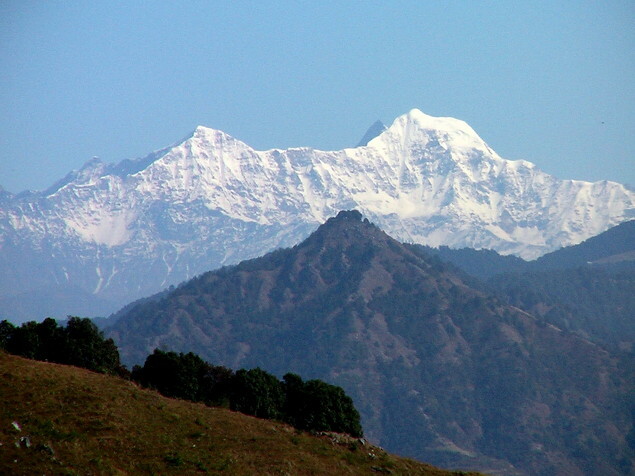 It is situated on the top of Benog Tibba (Hill) and contains an old idol of Goddess Durga. There is a marvelous view of the Aglar River valley. It can not be accessed by vehicle although a motor road goes most of the way from Mussoorie. 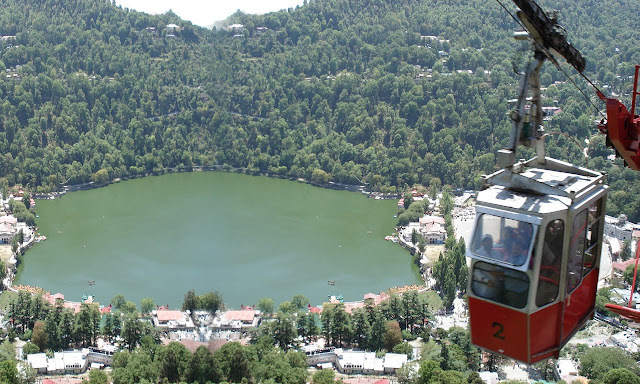 At a distance of about 2 km on Tehri bypass road, this place is developed as picnic spot and has a park surrounded with pine forest and flowering shrubs, and is approachable by foot or taxi/car. The main attraction is the wildlife of the park like Ghurar, Kakar, Himalayan peacock, Monal etc. Mussoorie is a popular destination for honeymooning couples, mainly because of its relatively cool climes and calm and lovely environment. Located 8 km. 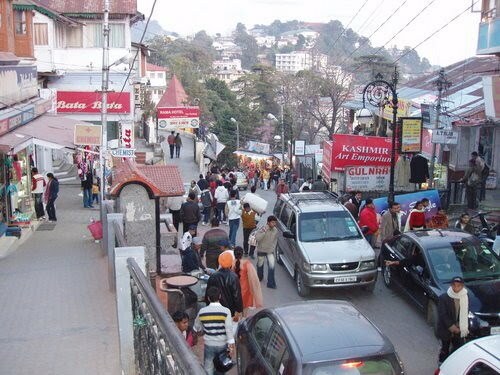 from Mussoorie on Mussoorie Dhanaulti Road is Himalayan Weavers, which produces hand-woven shawls, stoles, scarves and throws using only natural dyes and wool, eri silk and pashmina. Their aim is to produce high quality handloom products, popularize the use of environmentally friendly natural dyes and provide a market for craft products made in the Himalayan region. Guru Nanak Fifth Centenary (1969). 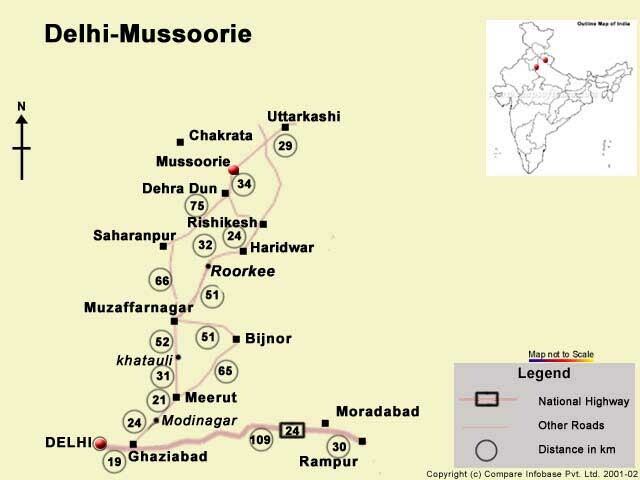 Mussoorie is distinctively known as the queen of hills, because of its out of the world splendor. One of the major tourist destinations in Uttrakhand, Mussoorie not only boasts of the picturesque views of the Himalayas and the Doon valley but it also showcases some of the rarest flora and fauna of the country.